wooden pallet and plastic package in the container. 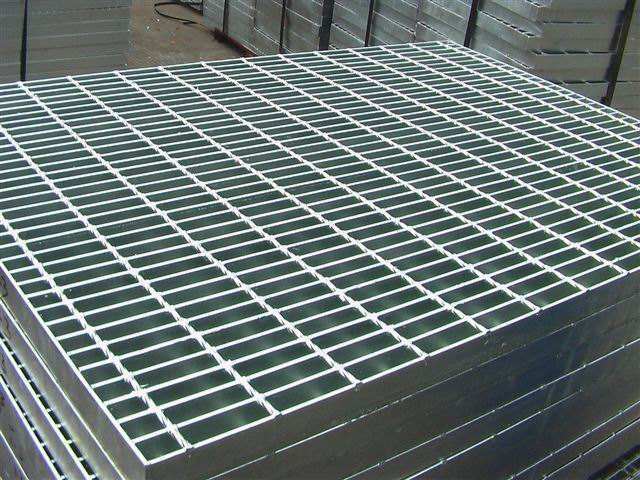 After-sales service: We offer installation and train the workers for the customers. 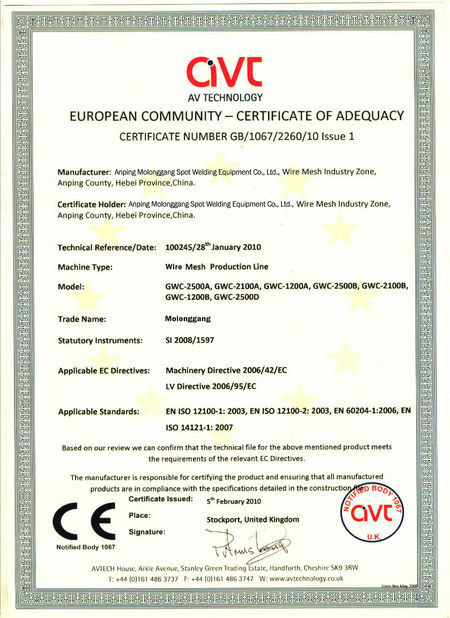 Our guarantee time: one year since the machine was installed at buyer's factory but within 18 months against B/L date. 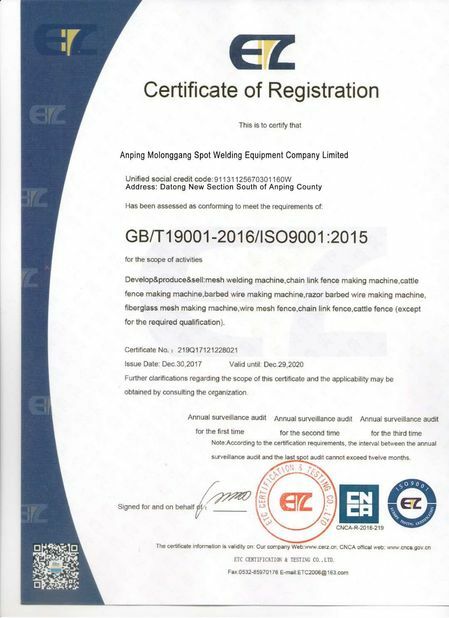 Automatic steel flat welding machine is a concentration of electric, hydraulic, resistance welding, machinery, etc., as one of the large welding equipment.With compact structure, welding strong function, high degree of automation, product quality, convenient operation and maintenance, strong productivity, etc.Intermediate frequency welder frequency is 1000 hz, large output current density.The secondary loop output impedance is small, welding current, low dissipation electrodes directly connected to the rectifier circuit, greatly saves the energy required during welding. 1. Adopts Japan Mitsubishi PLC program and touch screen to control. 2. 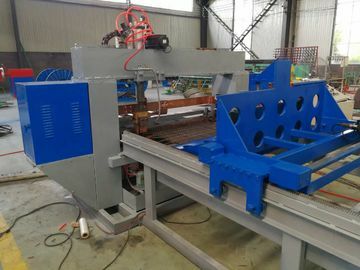 This machine adopts hydraulic device to control welding electrode; it can weld 3 points per time when flat bar thickness is 2.5-3mm,weld 2 points per time when flat bar thickness is 3-5mm.weld 1point per time when flat bar thickness is 5-6mm. 3. 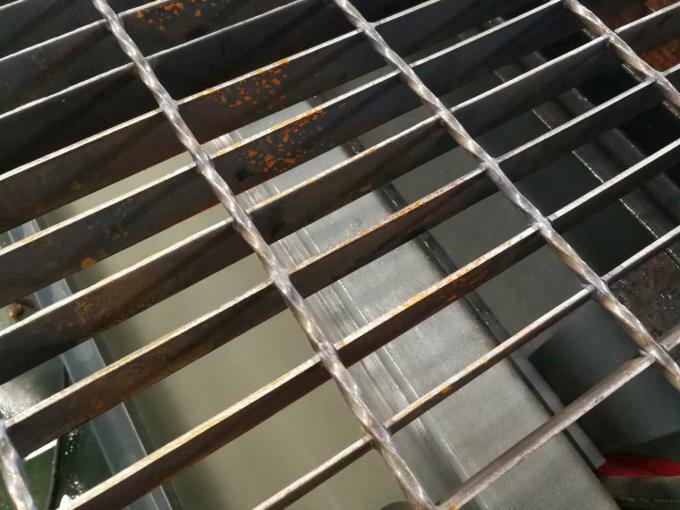 The mesh pulling system adopts Japan Mitsubishi Panasonic servo motor, more stable, high precision. 4. 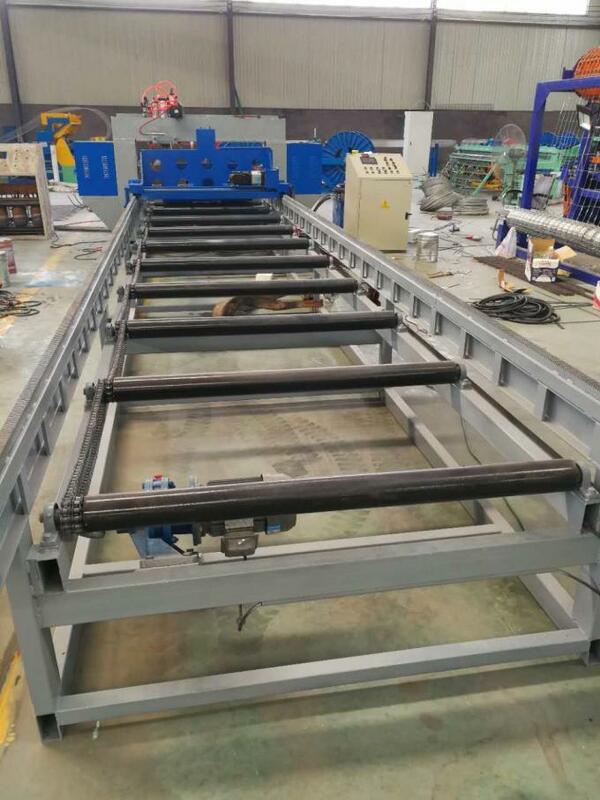 This machine adopts specially designed mold to fix flat bars. The flat bar space is fixed, flat bar thickness and width can be adjusted within range on one mold. 5. The welding transformers are water cooling type. 6. Feeding way: the flat bar should be put by the worker; the twist bar should be straightened.